I love it when I have the opportunity to create a brand for someone just starting their own business, and especially when it’s for someone in the healing world. 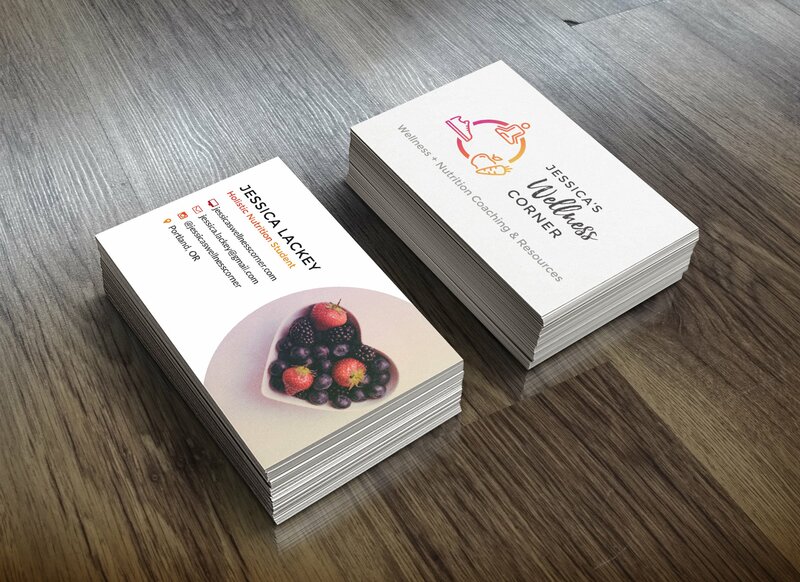 Jessica already had a website but needed a brand, some business cards and a redesigned website. 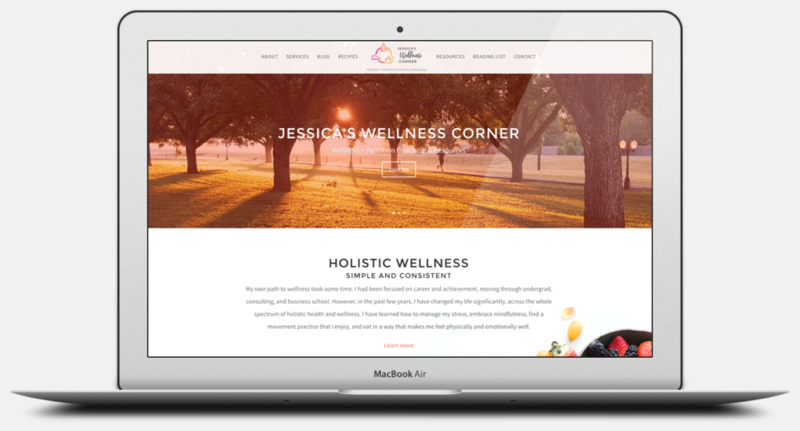 So I got to create this fun logo for her (see below), with a person meditating, an apple and carrot, and a tennis shoe, since she believes in the need for a well-rounded path to wellness. And I’m super happy she was willing to go bold with this purple to orange gradient, which makes her really stand out in her field. She had a pretty clear vision for her website too – plenty of white space and simplicity, and great imagery. So that’s how we designed it. We’re both pretty thrilled with the result.